One-on-one personalised assessment of your individual situation – this is useful if you require expert advice on the next steps to get your Australian Visa, or if you have a particular problem. If necessary this consultation can be done on the phone or on Skype. For complication situations. One on one personalised assessment of your individual situation – expert advice on next steps to get your Australian Visa. If necessary this consultation can be done on the phone or on Skype or in our Brisbane office. Guide and support you if further information is required. 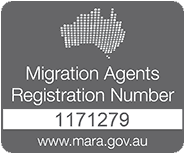 As one of the leading migration advice Australia teams, we take great pride in the service we provide. We hope we can help you achieve your Australian dream and assist with your visa application and success.